David R. Linder, 65, of Rock Island passed away Sunday June 4, 2017 at his home. A memorial visitation will be held 4-7pm Sunday June 11 at the Milan American Legion. Memorials may be made to the 160 Truck Driving School. Quad Cities Cremation Center is assisting the family with arrangements. David was born Nov. 7, 1951 in Moline, IL the son of Roy and Eva Terrill Linder. He married Jill Hamilton “Sweetie” Aug. 1, 1970 in Milan, IL. He served in the Army during Vietnam. 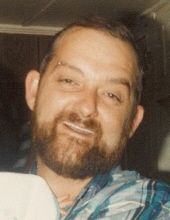 David was a truck driver for Eagle Foods for 27 ½ years and later retired from Qwest Liner in Blue Grass, IA. He was a union steward at the Local 371 and enjoyed woodworking, camping, Harley Davidson, and loved watching John Wayne movies and WWE. Survivors include his wife Jill Linder; daughters Diana (Chris Rogers) Killingsworth and Julie (Danel) Caulkins; son Darren Linder; grandchildren Arazi (Taylor Love) Bashaw, Jordan (Chris) Thompson and Dylan David (Shayna) Caulkins; great grandchildren Bentley Thompson, Rylan Caulkins, Rowyn Caulkins, Remington Thompson and one on the way. To plant a tree in memory of David R Linder, please visit our Tribute Store. "Email Address" would like to share the life celebration of David R Linder. Click on the "link" to go to share a favorite memory or leave a condolence message for the family.